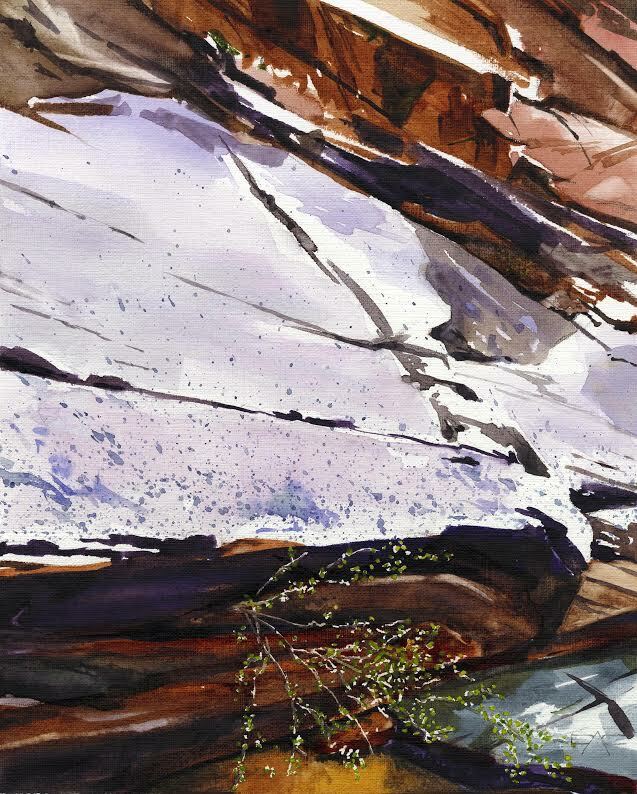 ST. GEORGE — The Arrowhead Gallery is pleased to announced the April featured artists: Betty Barnhart and Don Carter. Both artists will showcase previous and new works in the gallery throughout the month. Additionally, a ‘”Featured Artist Reception” will be held April 21 from 6-8 p.m. for the public to meet the artists. Betty Barnhart was born and raised in the state of Ohio. After providing an accounting service to small business owners for 25 years in Anchorage, Alaska, she proceeded to fulfill a goal of becoming a professional artist. Barnhart obtained a Bachelor of Fine Arts at the University of Alaska, Anchorage. Alaska’s natural beauty encouraged Barnhart to become its partner and search for unending personal interpretations. With each brush stroke, Barnhart looked for the interlocking of the mind and spirit to share with her viewers. Evoking awareness to the harmony between mankind and nature is the basis of her passion to reproduce the natural beauty of the environment. Don Carter earned his Bachelor of Fine Arts at Utah State University in 1981. After more than 36 years of working in sales as a freelance illustrator, cartoonist, caricaturist and technical writer, he now embraces painting and printmaking on a daily basis. Carter explores different styles and mediums. When his wife retired, she proclaimed her desire to pursue art. Carter decided to join her. The pair works together with watercolors, pastels, encaustics, pen-and-ink, etchings, printmaking and oil painting. Carter is driven to scrutinize, research, explore and enjoy the process of making images from different angles. His work is displayed in Artisan’s Gallery in Cedar City, as well as Arrowhead Gallery, Gallery 35 and Red Cliff Gallery in St. George. There will be a Featured Artist Reception in the gallery on April 21 from 6-8 p.m. The public is invited to come meet the artists, view the wonderful art in the gallery and enjoy some delicious refreshments. The Arrowhead Gallery is located at 68 E. Tabernacle in St. George and is open from 11 a.m. to 6 p.m. Tuesday through Saturday. Guests may also visit the gallery online. What: “Featured Artist Reception” with Betty Barnhart and Don Carter. When: Friday, April 21, 6-8 p.m.
Where: Arrowhead Gallery Electric Theater Center, 68 E. Tabernacle, St. George.